Accounting for oil revenues earmarked to support initiatives under the capacity building priority area continues to generate controversy, hence the need for a clear definition of what constitutes capacity building. 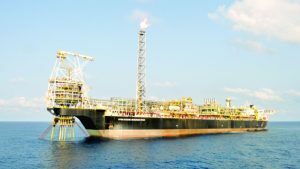 Capacity building, including the oil and gas sector, is one of the four priority areas that benefit from the yearly allocation of oil revenues, which are to be directed at initiatives to enhance the skills of Ghanaians to be able to manage the oil and gas sector, as increased production of the natural resource beckons.Even though the priority area deserves attention as far as disbursement of oil revenue is concerned, the expenditure pattern over the years is worrying. After more than five years, however, it is difficult, if not impossible to mention how these allocations have helped sharpen the skills of Ghanaians to take advantage of technical employment opportunities in the sector. From 2011, where the government, through the Annual Budget Funding Amount (ABFA) started the allocations, only a few of the interventions that have been captured under the capacity building priority area have direct impact on developing skills set needed in the oil and gas sector. One of such interventions is the GH¢750,000 used as counterpart funding for a World Bank sponsored capacity development programme in oil and gas at the Kwame Nkrumah university of Science and Technology (KNUST) in 2011. Aside from that, most of the funds went into consumables and social interventions in the creative industry, education sector among others. Information sourced from the successive annual reports of the Public Interest and Accountability Committee (PIAC), the committee with oversight responsibility of the management of the country’s oil revenue, showed that most of the projects that received funding over the last five years had no bearing on capacity building in the oil and gas sector. The priority area received GH¢750,000 from oil revenues in 2011. The sector got GH¢112 million in 2012, and GH¢20 million in 2013. According to the 2014 PIAC report, no allocation was made to the capacity building priority area in 2014, because the planned expenditure was tied to the establishment of the China Development Bank (CDB) -related SME Projects Incubation Facility for which an amount of US$ 27.08 million (GH¢59.57 million) had been allocated. In 2015, an amount of GH¢142.07 million was allocated to the capacity building priority area. Experts have raised concerns about the expenditure pattern under this priority area, describing it as an omnibus spending area where all sorts of expenditure not related to it are captured yearly. Between 2011 and 2013, the PIAC report explained that only GH¢8.93 million (representing 6.7 per cent) of the total allocations to the capacity building priority area had gone into developing capacity in the oil and gas sector over the period. Again in 2015, an amount of GH¢94.74 million representing 67 per cent of the total allocation to the capacity building priority area was used to fund various social interventions in the education sector. According to the 2015 PIAC report, the allocation of ABFA funds to the education sector in 2015 was GH¢141.33 million, representing 13 per cent of the petroleum revenue allocated to the ABFA account in 2015. This is because all the social interventions funded under the capacity building priority area were listed in the 2015 Budget Statement as programmes or initiatives to be implemented under the education sector. The report further noted that no part of the ABFA allocation to the Capacity Building Priority Area was used to fund any capacity building initiative in the oil and gas sector. Although the Petroleum Revenue Management Act (815), allows the government to identify priority areas that it intends to spend oil revenues on, the old administration chose four areas that it spent the ABFA on over the last years, with capacity building being one of them. While the concept of building capacity is commendable, it is important that it is clearly defined, especially when revenues are allocated for it, so that the desired results are achieved. The situation where the priority area becomes an omnibus for all sorts of expenditure should end, and revenue allocated should be properly used to the letter. The ruling New Patriotic Party (NPP) in their 2016 election manifesto, promised that they would aggressively invest in education and skills enhancement of Ghanaians to manage the oil and gas sector under an “Accelerated Oil Capacity Development Programme”, when voted into power. This initiative is laudable, and going forward, it is expected that Ghanaians will build their capacity to take advantage of the anticipated growing opportunities in the sector, as we expect to increase oil production in the country.